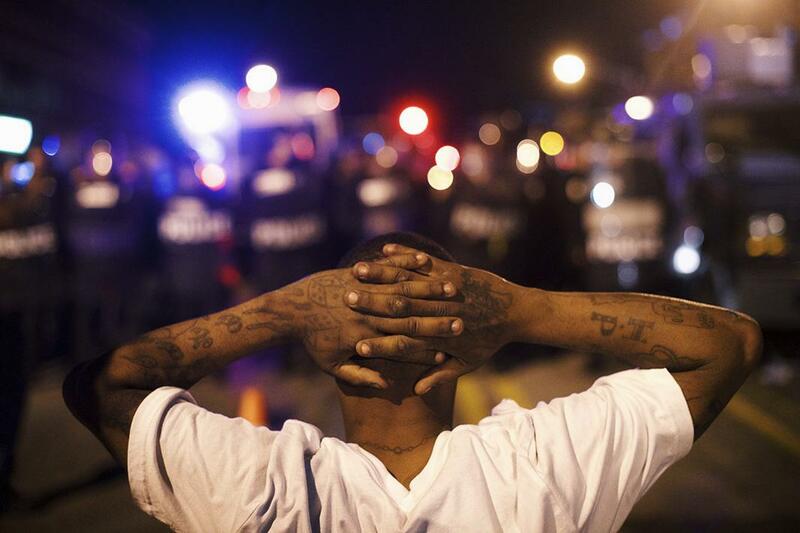 Nepal earthquake, Baltimore riots, and more of the week's best photos. 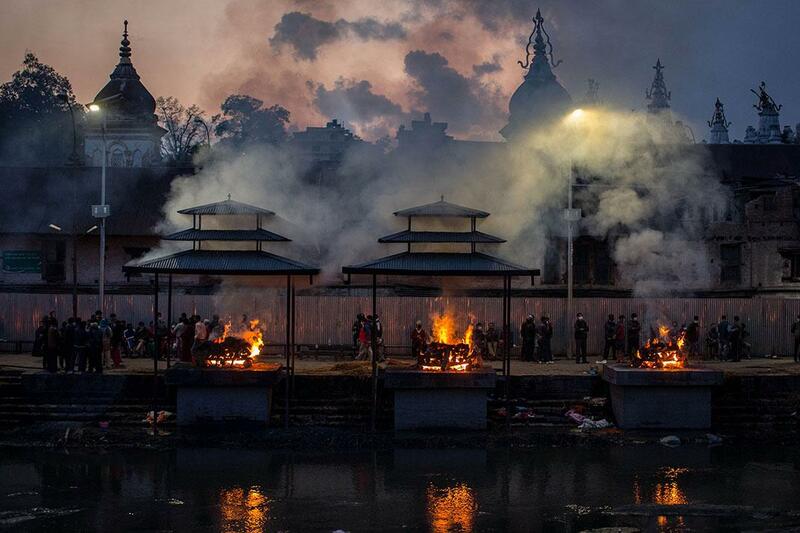 Victims of the earthquake are cremated at Pashupatinah Temple on April 29, 2015, in Kathmandu, Nepal. 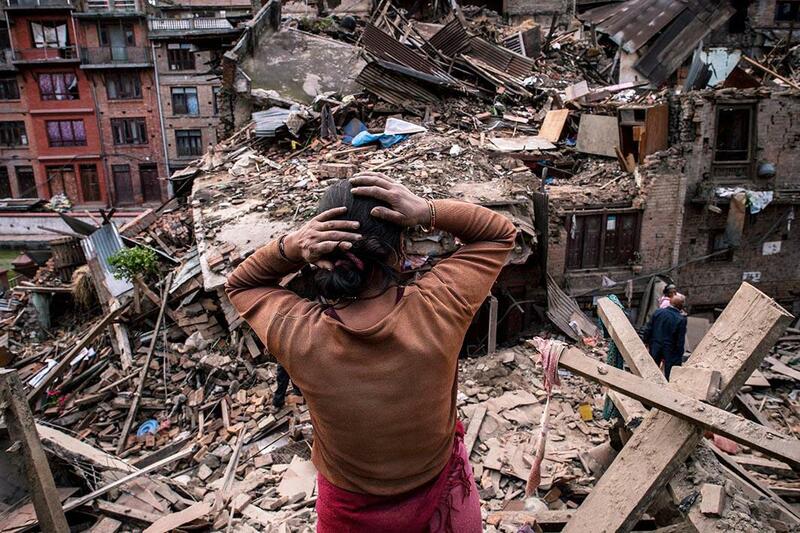 A Nepalese earthquake victim stands over the debris of collapsed buildings on April 29, 2015, in Bhaktapur, Nepal. Protestors defy curfew the night after citywide riots over the death of Freddie Gray on April 28, 2015, in Baltimore. Freddie Gray, 25, was arrested April 12 on Baltimore’s west side and died a week later in the hospital from a severe spinal cord injury he received while in police custody. All six police officers suspended over the death of Freddie Gray were charged with crimes—including a charge of second-degree murder against one officer. 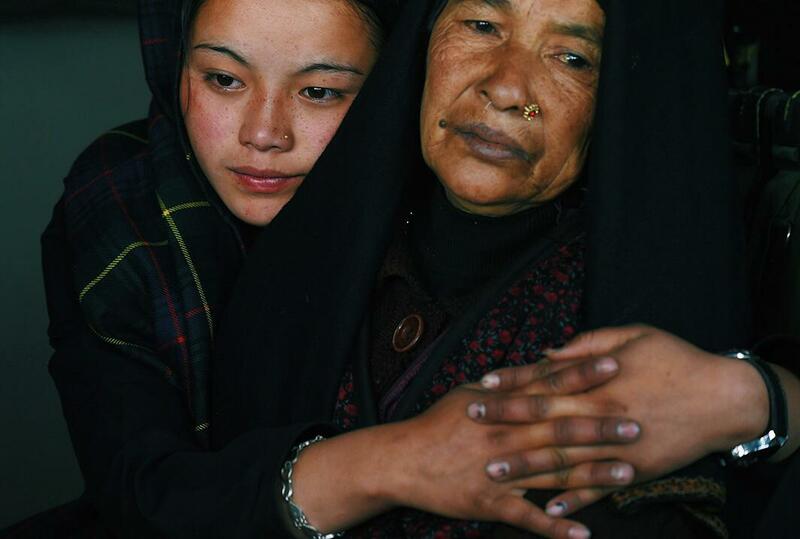 An injured mother and daughter sit inside an Indian army helicopter after they were rescued from Laprak village, Nepal, on April 30, 2015. The U.N. launched an appeal for Nepalese quake survivors in dire need of shelter, food, and medical care on April 30 as anger boiled at the government’s inability to cope with a disaster that has killed more than 5,000 people. 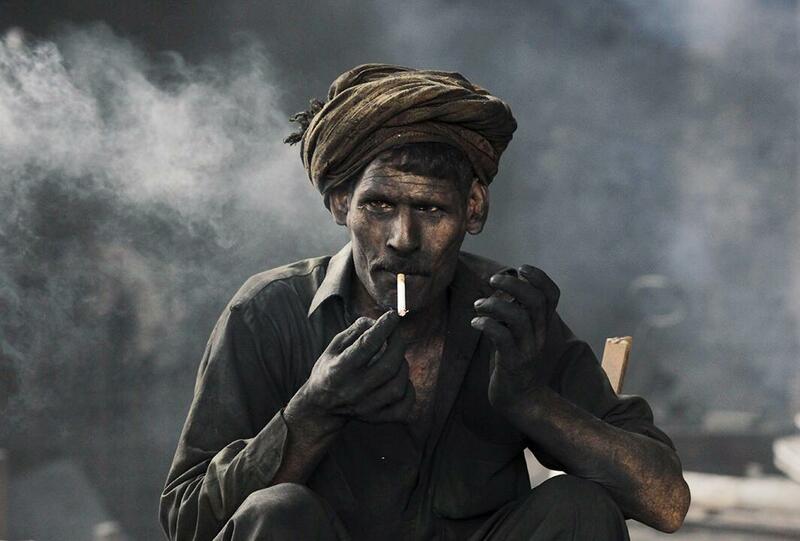 A worker takes a break from his work at a steel smelting plant in Lahore, Pakistan, on April 30, 2015. 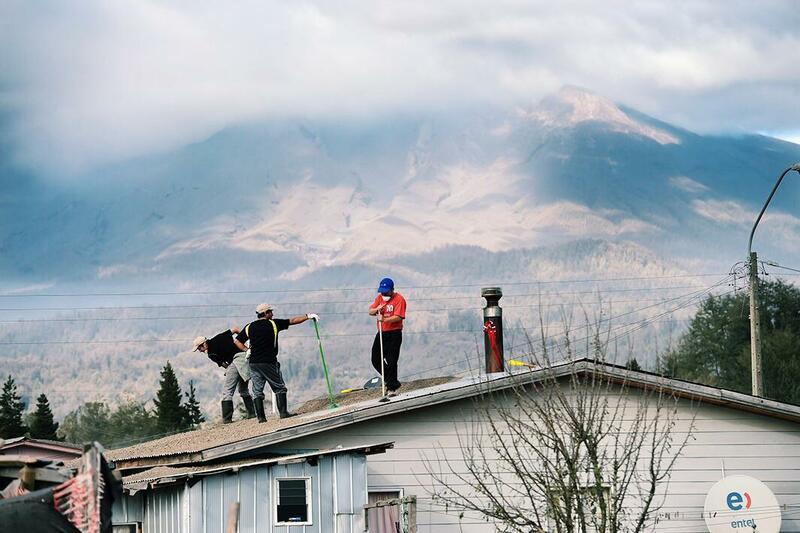 Residents clean the roof of their home from ashes of the Calbuco volcano at La Ensenada, Chile, on April 25, 2015. 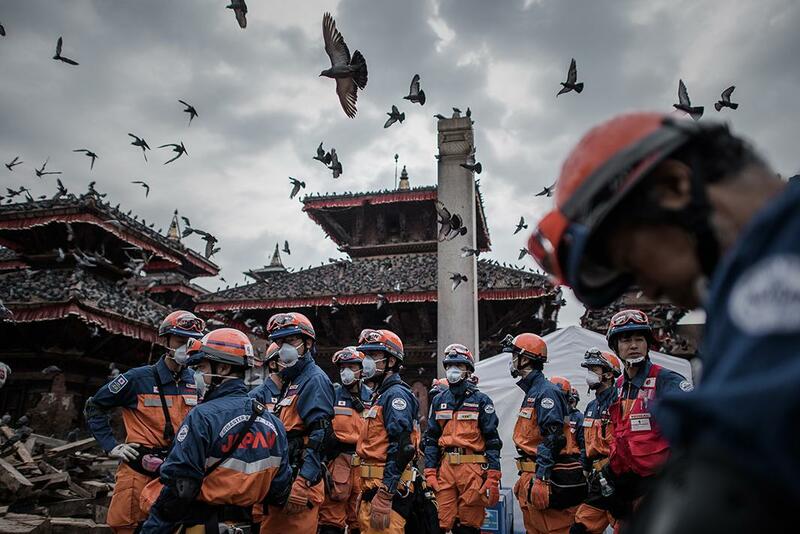 Rescuers from Japan congregate during the earthquake recovery effort in the historical center of Kathmandu, Nepal, on April 29, 2015. 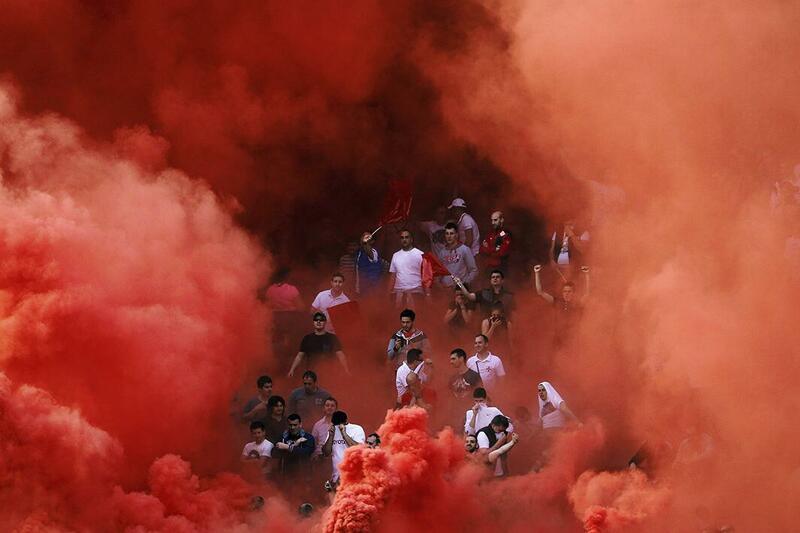 Red Star Belgrade fans cheer amid smoke during their Serbian Superliga soccer match against Partizan Belgrade in Belgrade on April 25, 2015. The start was delayed for 45 minutes after home Red Star supporters pelted riot police with seats and flares, forcing officers to retreat from the north tier that houses the club’s diehard fans. 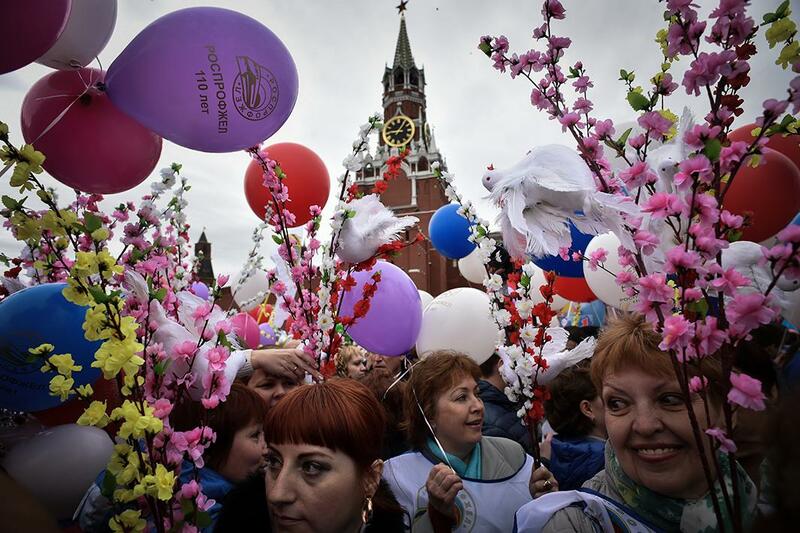 Russian Trade Unions’ members parade on the Red Square in Moscow on May 1, 2015, during their May Day demonstration. 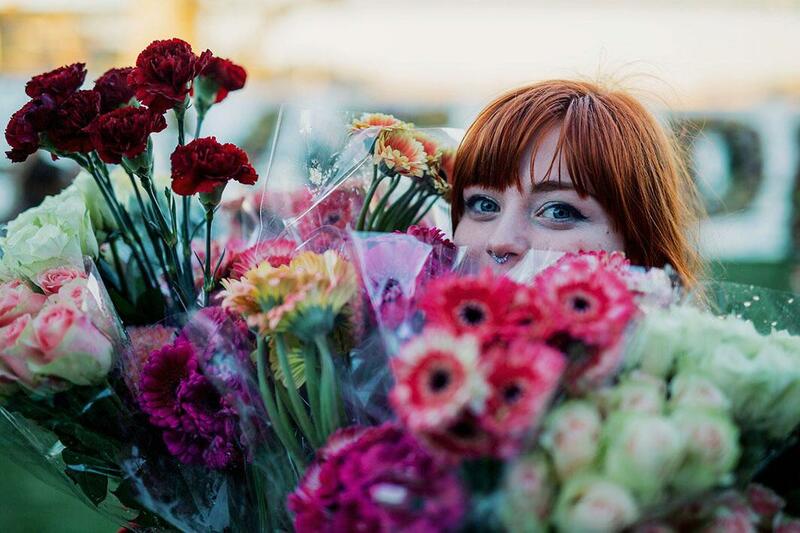 A girl carries flowers to make a flower wall as part of an Amnesty International vigil in Sydney on April 27, 2015, for the two members of the Bali Nine, Andrew Chan and Myuran Sukumaran, as a last-ditch effort to sway the Indonesian government to halt their planned executions. Chan and Sukumaran were killed by firing squad shortly after midnight on April 29. 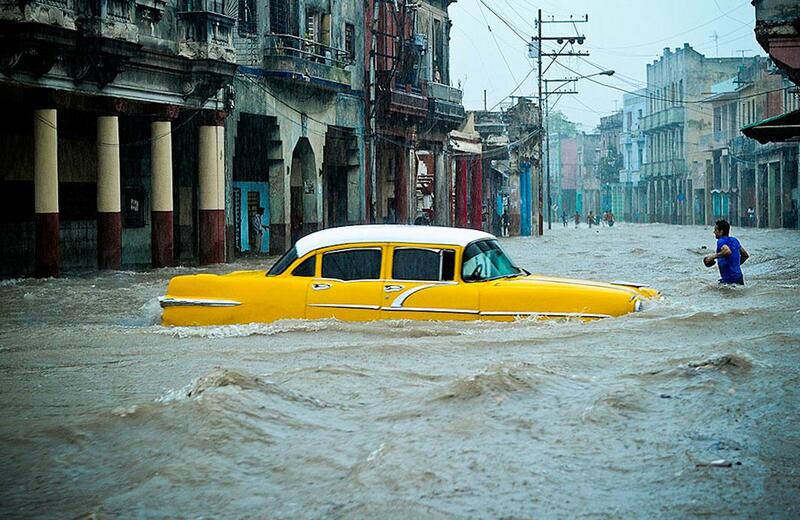 People and vehicles wade through a flooded street during an intense rainstorm in Havana, Cuba, on April 29, 2015. Two people were killed, three buildings collapsed, and another 24 suffered some kind of damage due to the heavy rain that affected several sectors of the city. 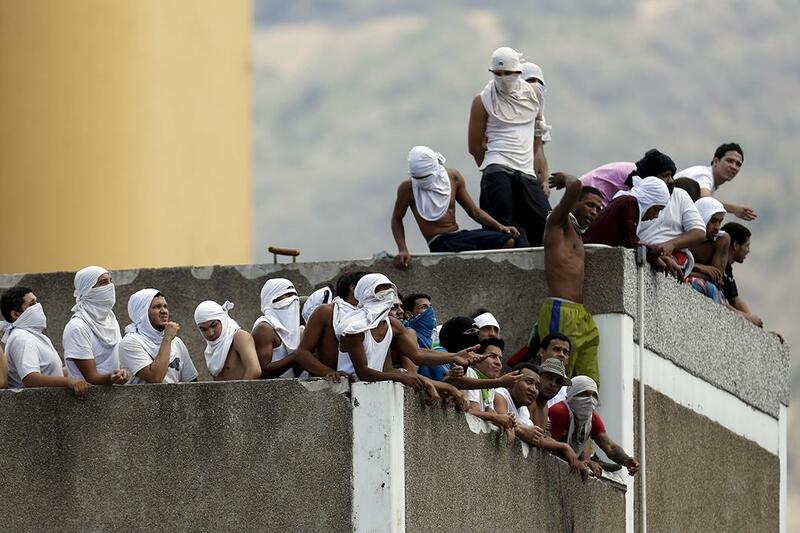 Inmates gather on the roof of a prison during a riot in Caracas, Venezuela, on April 27, 2015. The inmates are protesting against overcrowding in the prison and have taken a policeman as hostage, according to local media. Italian prosecutors blame Mohammed Ali Malek, the captain of a grossly overloaded fishing boat, for a collision that capsized and sank his vessel off Libya, drowning hundreds of migrants including many women and children locked below deck. 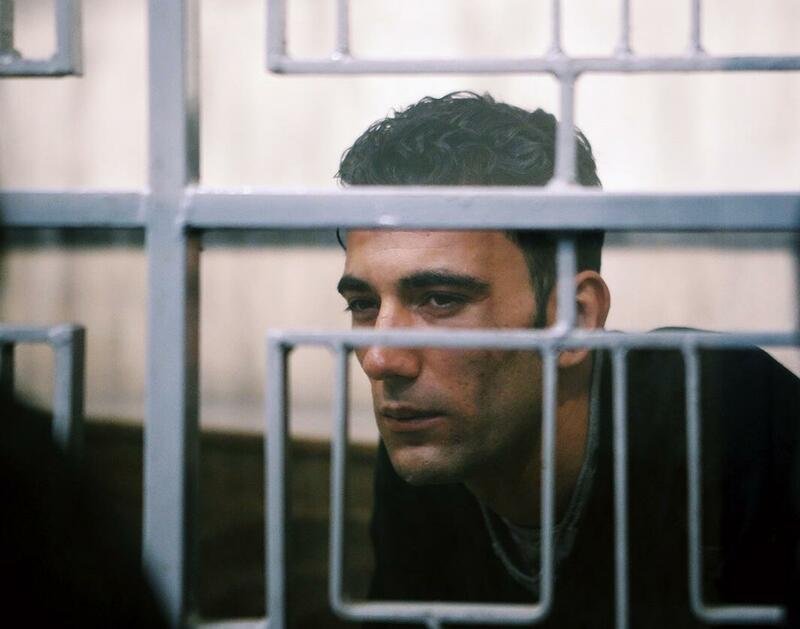 Above, Malek at a tribunal in Italy on April 24, 2015. 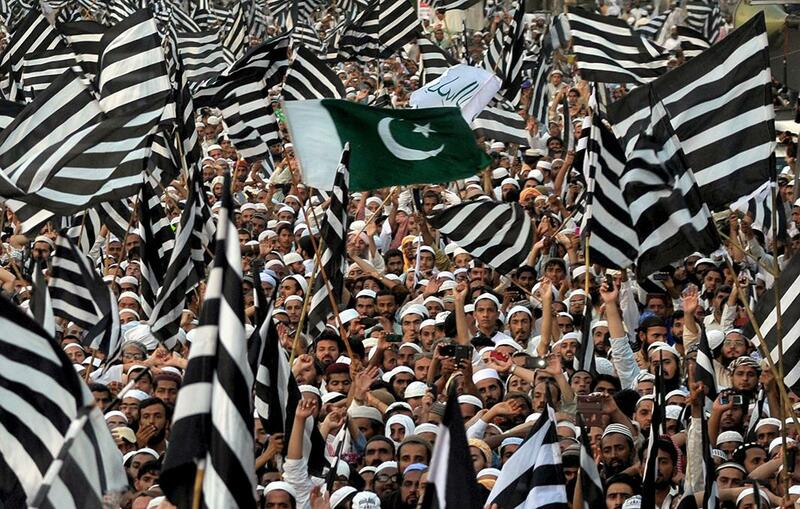 Supporters of the religious hardline party Jamiat Ulema Islam shout slogans during a rally in Karachi, Pakistan, on May 1, 2015, in support of Saudi-led bombing campaign against the Huthi rebels in Yemen. Pakistan has remained ostensibly neutral in the conflict, which has pitted the forces of the deposed Yemeni president against Huthi Shiite rebels, whom Riyadh says are backed by Iran. Pakistan’s parliament recently unanimously voted against complying with Riyadh’s request for troops, warplanes, and ships. 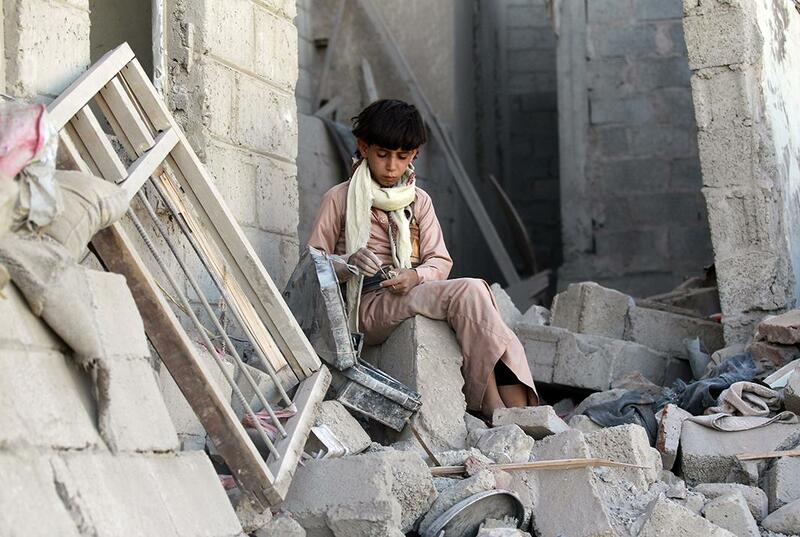 A Yemeni boys sits on the rubble of houses destroyed by an overnight Saudi-led airstrike on a residential area in Sanaa, Yemen, on May 1, 2015.